The cotton bags are eco-friendly, sustainable and reusable. 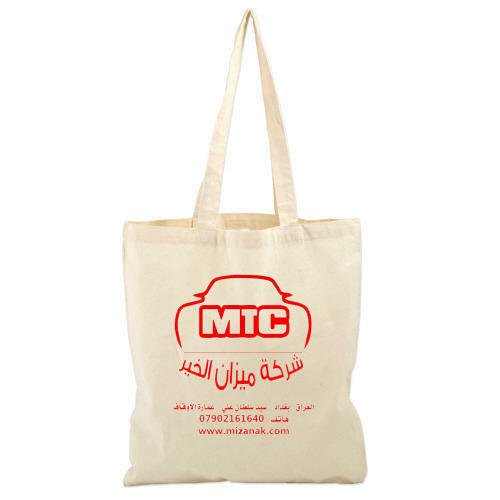 Cotton bags can be custom made in the size and design can be printed in your choice in any color of the fabric. Incorporated in the year 2004 at Kolkata (West Bengal, India), Shree Satyanarayanji Impex are engaged in Manufacturing, Exporting, Trading and Wholesaling of Jute Bags, Canvas Bag, Jute Promotional Bag, Jute Shopping Bags, Jute Custom made bags, Jute Christmas Bags, Jute Children Bags, Jute Beach Bags, Jute Totes, Jute Cotton Bags, JUCO Bag, Bag, Canvas Shopping Bags, Canvas Beach Bags, Canvas Totes, Canvas Promotional Bag, Cotton Bags, Cotton Promotional Bag, Cotton Grocery Bag, Calico Bag, Cotton totes, Cotton Carry Bags. All bags can be custom made(customized) to need from print, color, design and handle etc, We have a Low MoQ requirement. Our company is Sole Proprietorship (Individual) based. Under the supervision of our Proprietor, “Praveen Tekriwal”, we have achieved reputed position in the domain. We export our products to UK, USA, UAE, European Countries, etc.